This chirpserver is operated by the ISTM. Only ISTM-employees are entitled to an account on this server. Welcome, visitor. Please, login to your local chirpaccount to comment. Visit the chirpproject for more info. Keep on yer dreams! an live long an prosper! Older chirps can only be read after login. chirp is an open-source universe-wide interconnected microblogging network made up of many independent servers and service providers. Users from any server can connect with users from other servers just by adding the server handle to the username. This character chirp-stream is a little extra for readers of SpaceHighway. No Gaian-human being nor any other representative of any known species in the universe, nor its subspecies, had been hurt or damaged during the creation and realization of this creative work. Made by and with on a , using and . Tested on . About this page: This character chirp-stream is a little extra for readers of SpaceHighway. 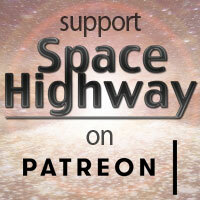 I, the author of SpaceHighway, will try to update it regularly. ISTMchirp uses third party cookies for statistics.